Being the world class city that San Francisco is, there are a boatload of activities to keep you busy on a visit there. Although we only had several days to see some of what the city offers, we managed to still see a good portion of it in the time we were there. 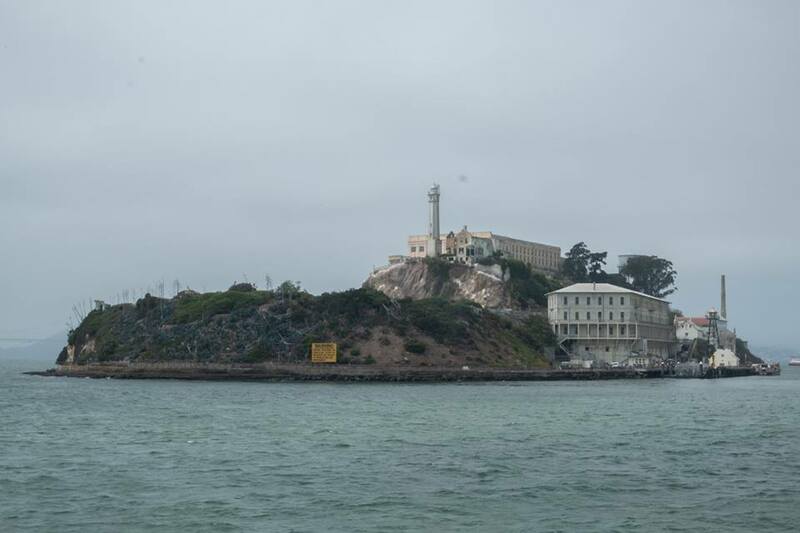 One can’t help but think of two things when San Fran comes to mind: The Golden Gate Bridge and Alcatraz Island. We decided like a lot of people who visit, that we definitely had to make a stop to see one of the most infamous former prisons there is. The site is run by the National Park Service and is part of the Golden Gate National Recreational Area. As with so many of the other national parks we have visited in our travels, the NPS does a great job with both maintaining the history and also the accessibility of the island. The main feature is an audio tour of the jailhouse that is narrated by several former guards and inmates, covering the entirety of the cellblocks where the inmates were housed. Being that it is narrated by both guard and inmates, it presents a much fuller picture of what it was like to be on both sides of the bars and really does a spectacular job of bringing the history of it to life. The many exhibits on the island also explore its time as a military garrison before it served as a penitentiary, as well as several years that it was occupied as a protest site by indigenous Americans. The Early Bird Tour ($38.35) – First tour of the day. Often less crowded. Whichever tour you decide to do, we can’t emphasize enough that you should book as far ahead as you can! We booked our tickets about three weeks out and most of the times had already been sold out. Granted, it was a holiday weekend and was busier than normal, but it definitely seemed like the earlier you book, the better (especially when it comes to the night tours and behind the scenes). 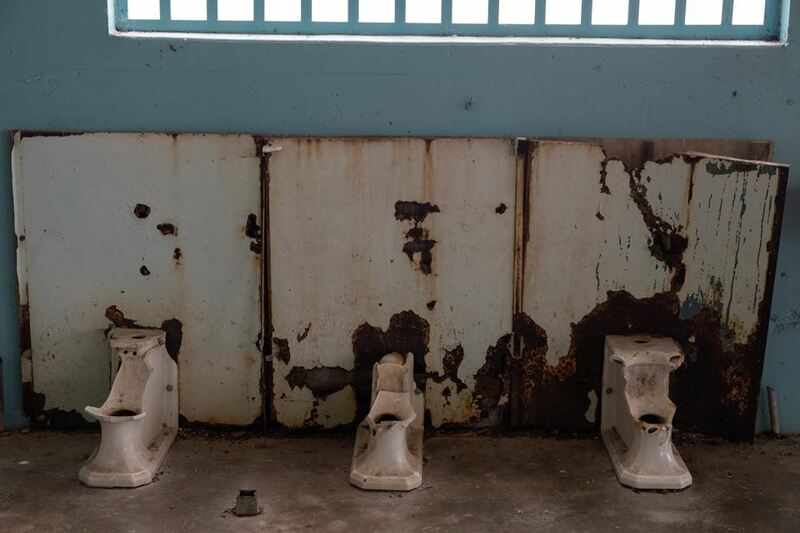 You can book your tickets through alcatraztours.com and all tours depart and return to Pier 33. One of the other most associated things with Northern California besides the Golden Gate Bridge is redwood trees! Many people think of the iconic pictures of 1950’s automobiles driving through roads cut into the towering redwoods and it is one of the must-see items on any trip to the area. There are several options for viewing these majestic giants that aren’t too far outside the city, but the quickest is definitely the Muir Woods. Located a quick 40 minutes North of downtown, the Muir Woods are a part of the Golden Gate National Recreational Area and are named for famous conservationist John Muir, whose quotes about nature are some of the most well-known. The area was originally named Redwood Canyon and was one of the last areas to contain redwoods when it was purchased by future politician William Kent, and his wife Elizabeth Thatcher Kent with the intention of preserving and protecting it. The decision was made by the Kent’s to donate the land to the federal government several years later when a water company tried to seize the land through eminent domain. It was then declared a national monument by President Teddy Roosevelt, the first one to be created by land given from a private donation. The woods are very easy to get to, provided you plan your visit ahead of time. During the summer months, advance booking is essential as parking spaces are tightly controlled and the number of visitors to the park reaches peak around that time. A better option during those months is to utilize the shuttle service that the park runs from locations just North of the Golden Gate Bridge. We spent a half day getting lost hiking through the many trails in the upper part of the woods and very much enjoyed the trip into nature. The Muir Woods is an excellent option for families with small children or people with mobility issues, due to most of the lower part of the woods having a boardwalk that makes traversing it much easier. With that though comes the issues of crowds and noise, which may not be what people looking to enjoy a day in nature are keen on. Rest assured though that if you head to the upper parts of the trail that diverge from the boardwalk, you will quickly find yourself in a quieter and more peaceful atmosphere. The park is open 365 days a year from 8am to sunset. Entrance fee is $10.00. Parking reservations are $8.00, shuttle reservations $3.00. Reservation information can be found at gomuirwoods.com﻿ . 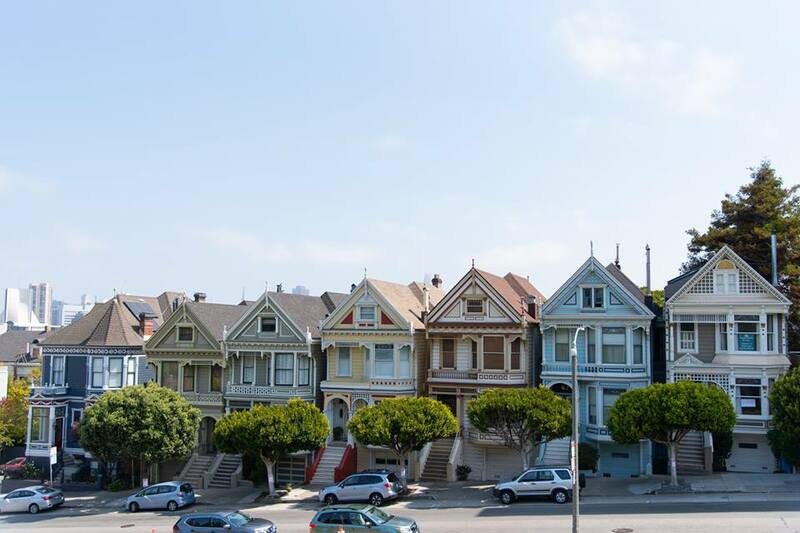 The term painted ladies was first coined by writers Elizabeth Pomada and Michael Larsen in 1978 when writing a book covering the rows of Victorian styled houses that populated much of San Francisco. It then came to be widely used for any similar row of Victorian houses painted in a…loud manner (some would say garish). Victorian styled houses were very popular in San Francisco, with a great number of them being built from 1849-1915. Many of these were destroyed in the great earthquake of 1906, but luckily a good amount endured. One row in particular is that bordering Alamo Square at the intersection of Hayes and Steiner Streets. This set in particular is known locally as “Postcard Row” or the “7 Sisters”. They are best known for their appearance in many tv shows and movies, most notably the intro credits to the show “Full House”. If there is one piece of advice I can give you on visiting this spot it is to arrive early in the day, or on a weekday. When we arrived midday, there were between 50 and 100 people already on the grassy hill inside Alamo Square trying to get the best pose with their selfie sticks. If you are looking for more than just the insta photo, Alamo Square is a great spot to just bring a sandwich and have a picnic or take a rest on a day of exploring. Much like Postcard Row, the windy curves of Lombard Street are quintessential San Fran. Although Lombard Street stretches for twelve blocks, the section that everyone always wants to snap for their insta is the one-way block on Russian Hill between Hyde and Leavenworth streets. The segment consists of eight hairpin turns giving it the unofficial moniker of “most crooked street in the world”. The street was originally constructed in 1922 to help with the intense 27% grade, which was too much for most vehicles at the time. These days though, the street sees an average of 250 cars per hour (which must be super fun for the handful of residents on the road). Realistically, you only really need about 15 to 20 minutes if you decide to stop by Lombard. You will find throngs of people all jockeying to get a selfie, while almost getting run over by cars and giving irritated looks to people impeding on their photos. It is worth it I suppose if you want to snag a photo and maybe take an uber ride down the street (we saw a guy filming out a sunroof with a gopro) but there are probably other more authentic places to see with your time.